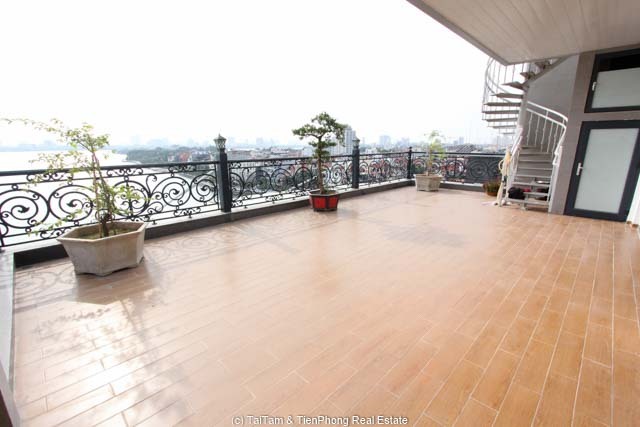 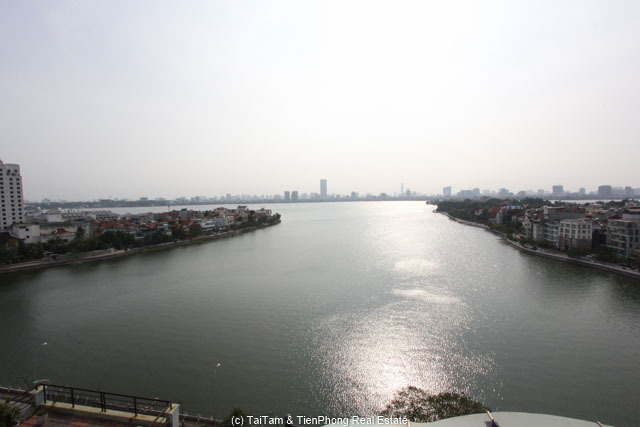 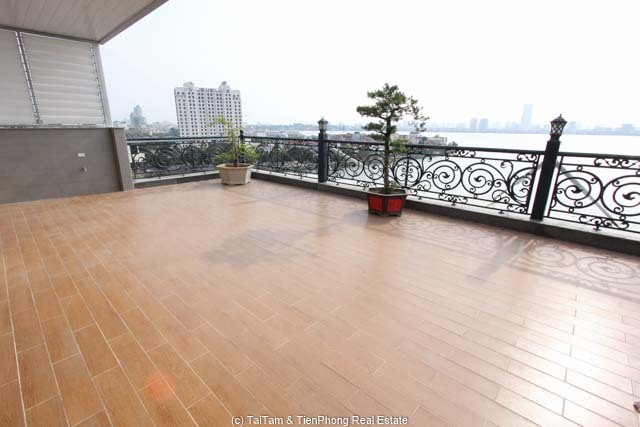 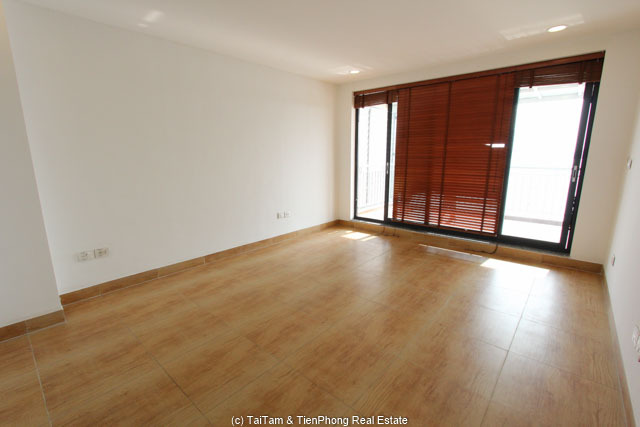 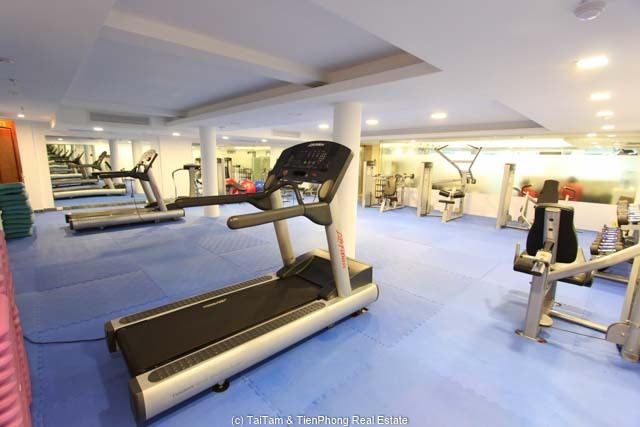 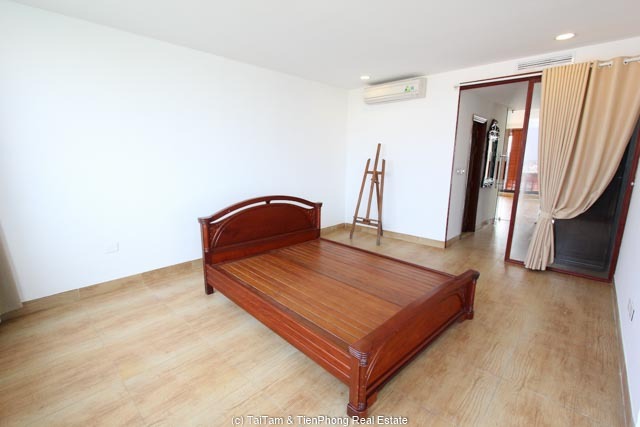 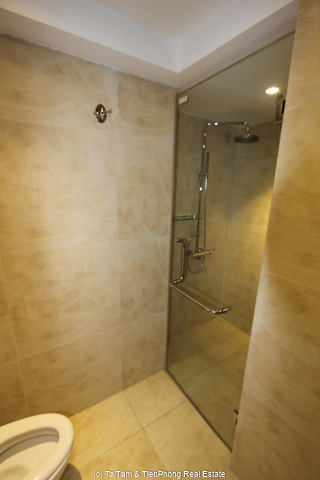 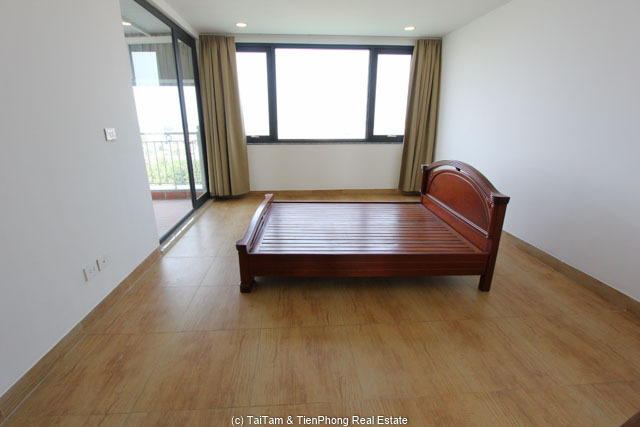 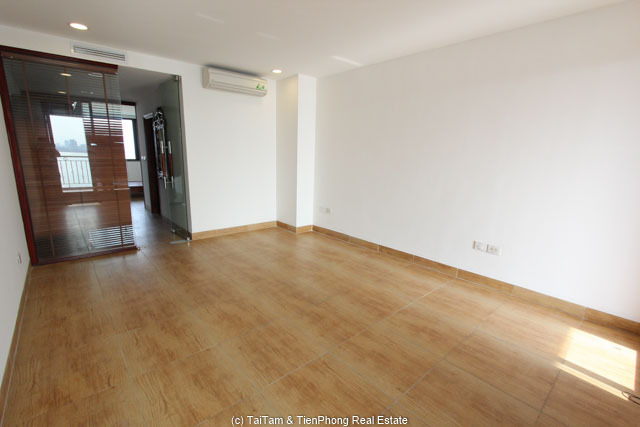 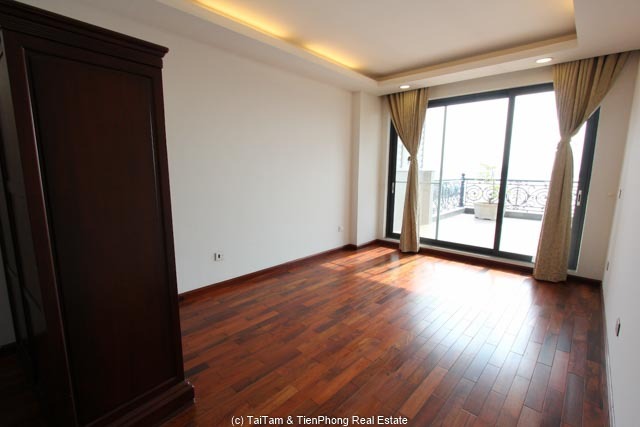 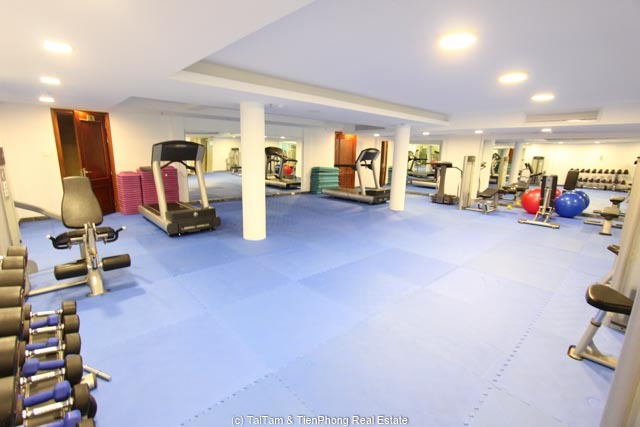 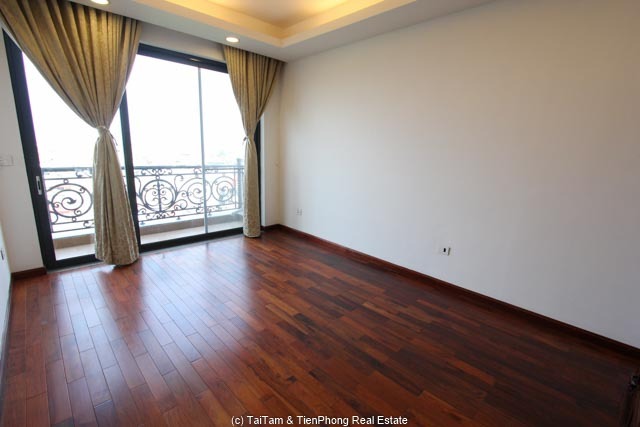 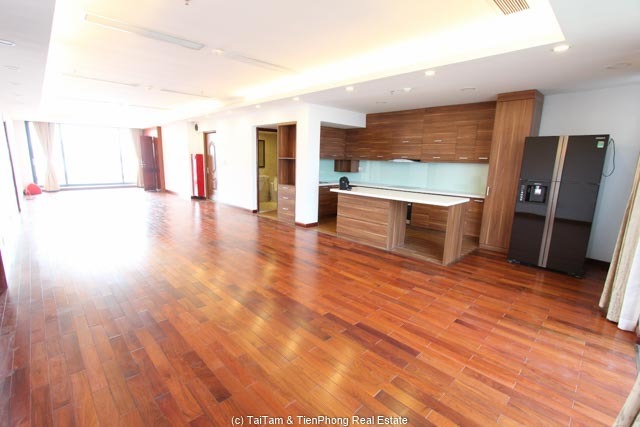 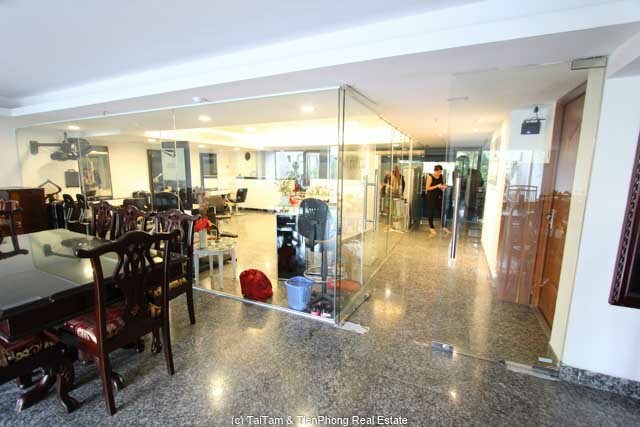 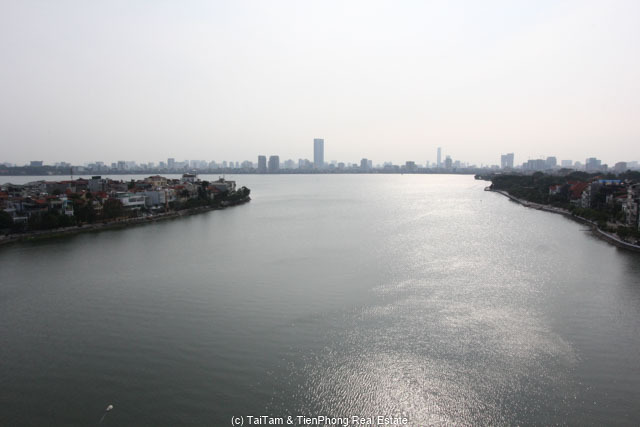 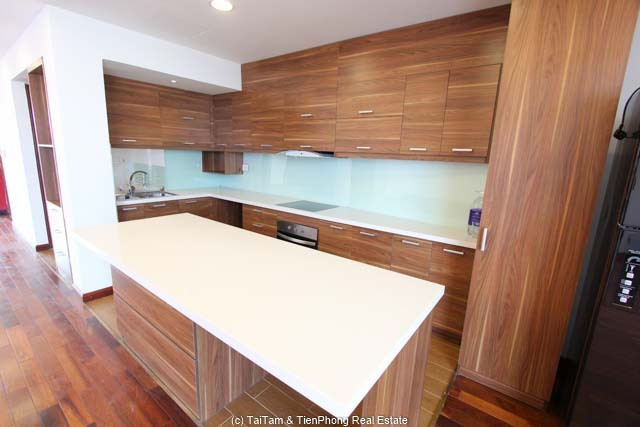 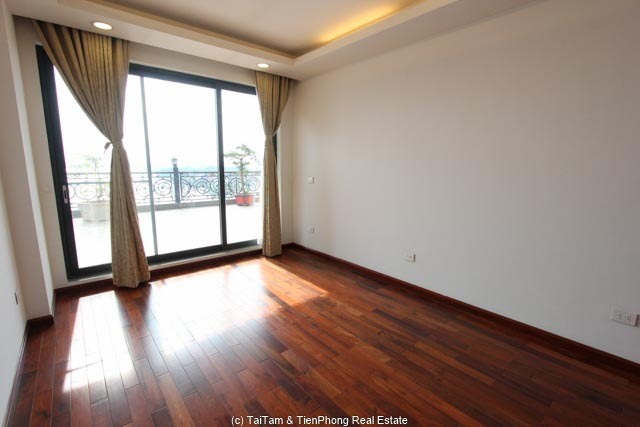 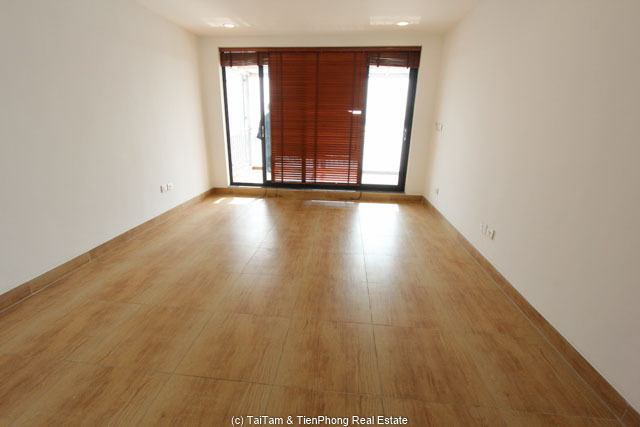 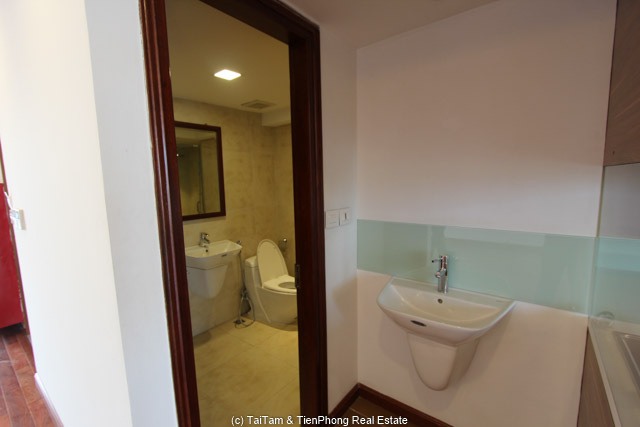 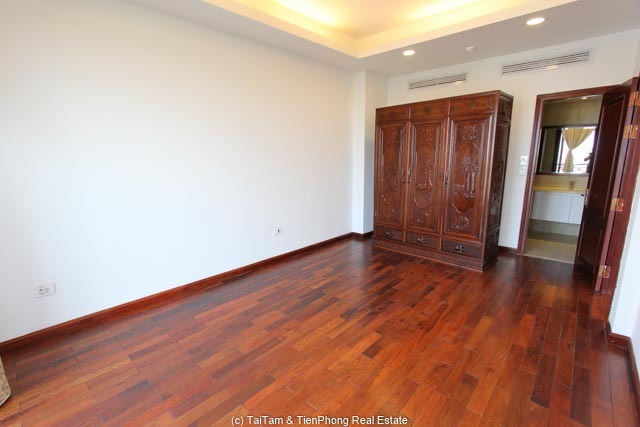 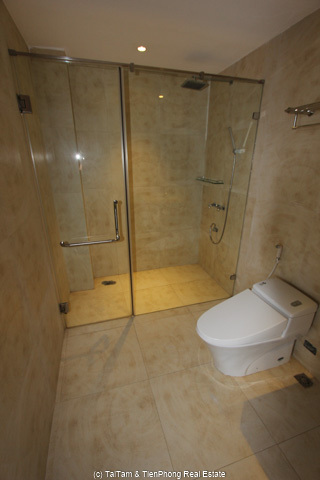 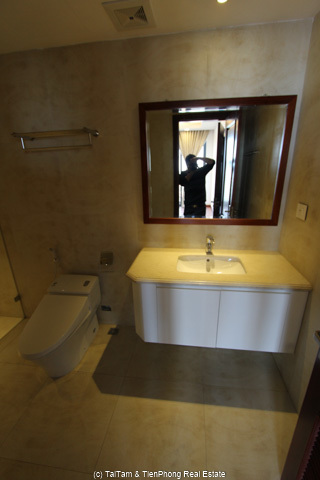 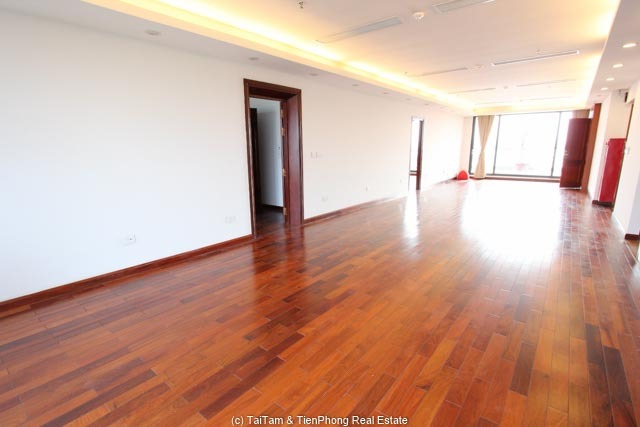 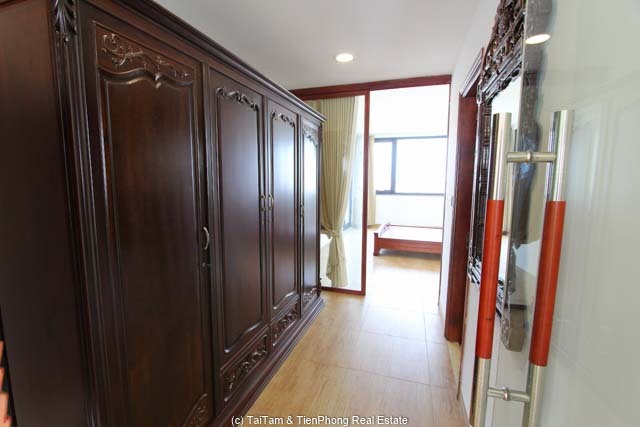 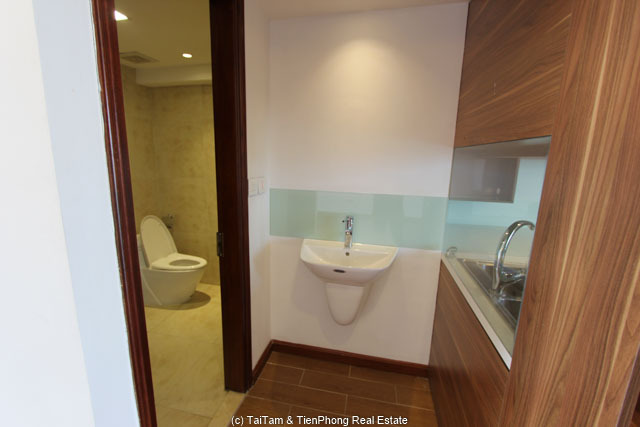 Modern style and spacious penthouse for rent on Xuan Dieu Street, Tay Ho. 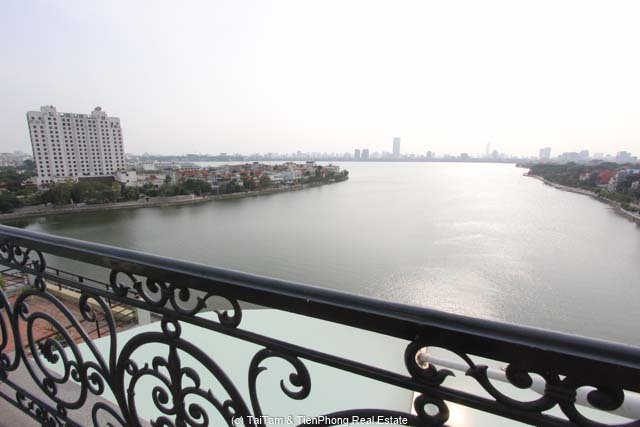 Facing to the lake with a huge terrace in front, plus a balcony in the back lookout to the green make the apartment got a full view. 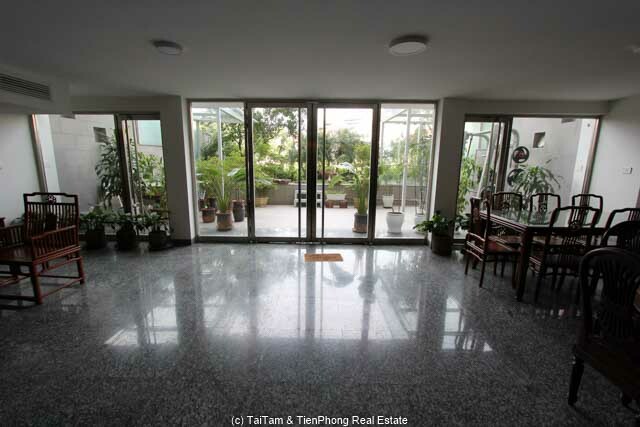 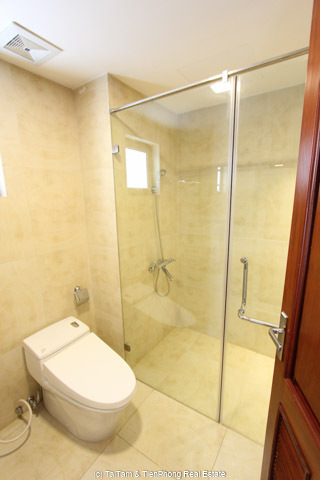 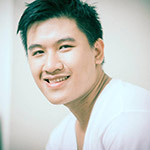 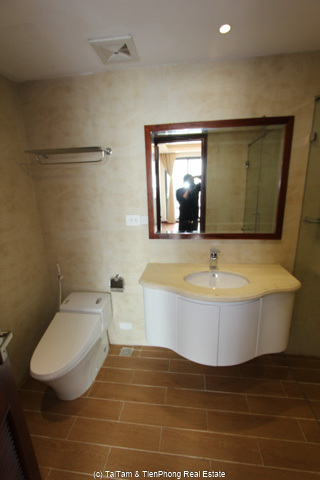 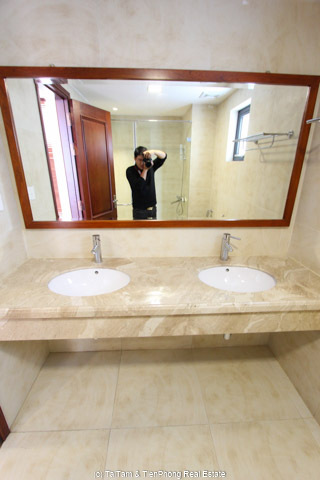 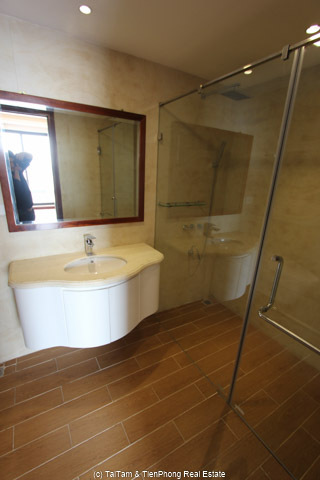 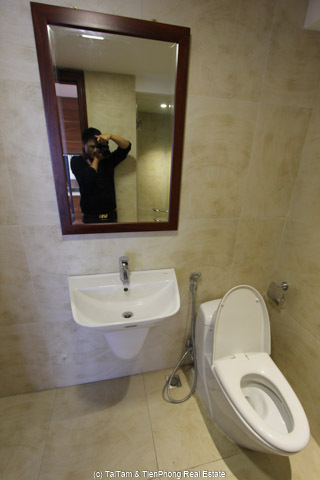 Well managed building with 24h security guard, elevator, housekeeping services. 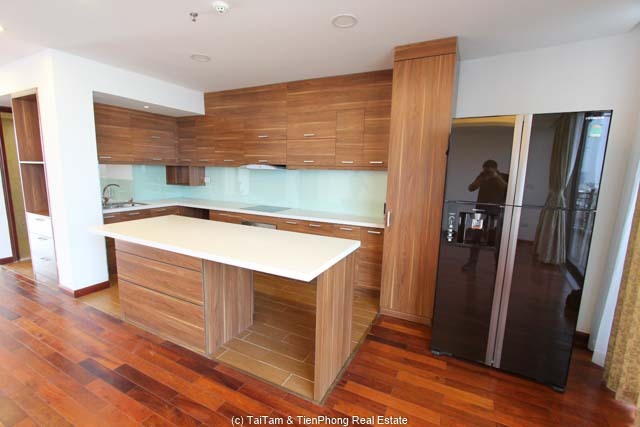 The penthouse size is 350 sqm; the 1st level composed a living room, 02 bedrooms and kitchen with built-in oven, dishwasher, fridge, microwave. 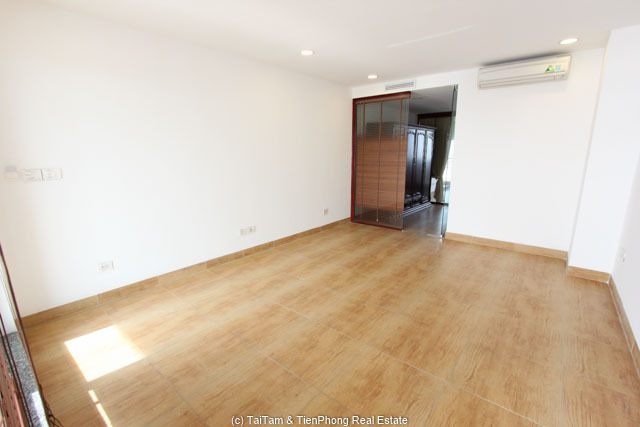 2nd level has 1 bedroom. 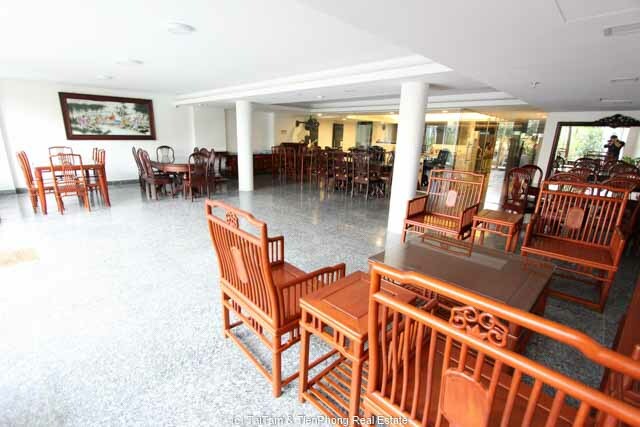 the apartment closed to many shops, restaurant, lots of facitities for comfortable living.